After five successful years as part of Nine High - which produced two mixtapes, an album and an Australian tour, Byron began his solo career with the release of his debut mixtape, 'Jack of None', which received heavy support from acclaimed BBC 1xtra tastemakers DJ Target & Ras Kwame (who made the ‘New Day’ feat Emeli Sande his World Exclusive Record of the Week in late 2010), followed by the five track deep 'Hardworker EP', which received praise from many leading blogs and airplay on Choice FM. Then followed 140bpm-led project 'Deep Lyrics/Dirty Beats' - released in 3 parts through the UK’s leading youth broadcaster SBTV. The projects lead single 'Thank You' - produced by long-term collaborator Chris Loco (Rita Ora, Leona Lewis) - was again supported by a host of DJ’s on 1xtra and Choice FM. The project culminated in the 3rd instalment including street single 'Secrets' feat UK legends Dot Rotten & Ghetts, which was picked up by none other than BBC Radio 1’s Zane Lowe, as well as Kiss 100’s Grime aficionado DJ Logan Sama amongst others. Byron also supported The Milk on tour throughout the south of the UK, the final gig being a sell-out at Hammersmith Apollo. A spate of high quality visuals followed in association with award-winning company Kissinggate Productions, and the creation of the animated video for ‘Secrets’ with Quenched Music (Channel 4, Skins). 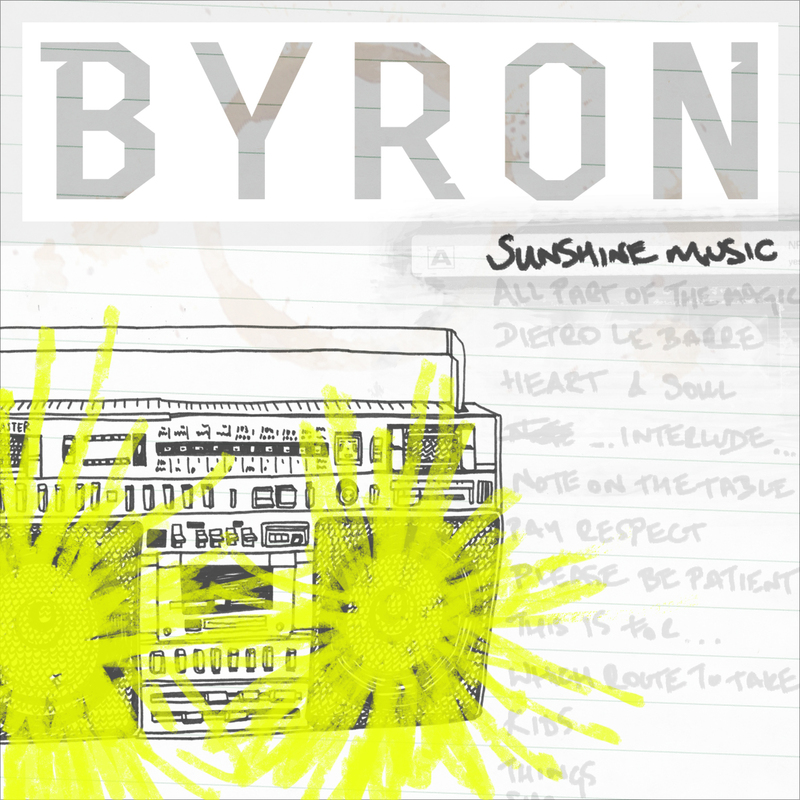 2013 has begun in earnest for Byron, with the release of 'Sunshine Music' – a feature-free body of work created closely with Chris Loco, released through the aforementioned SBTV.co.uk – that promises to be the perfect accompaniment to the sunshine… or the perfect remedy for the winter gloom! "One day Chris and I were going through our old cassette tapes from the pirate radio days and wanted to re-live some memories," Byron explains, "we found an old Tascam studio tape deck on eBay and he tried running some stuff through it.. It had a warmth and depth that I really liked so we decided to run with it for the entire project. Things have changed since 'back in the day' - technology has advanced, there's perhaps more focus on image and less focus on the lyrics - we wanted Sunshine Music to stir the juices of nostalgia, but for all the right reasons!" Featuring 13 beautifully crafted and instinctively soulful cuts, 'Sunshine Music' certainly fulfils Byron's aim and shows the multi-talented wordsmith at his best - effortlessly communicating genuine lyricism over a backdrop of sweltering, summer time soundscapes.